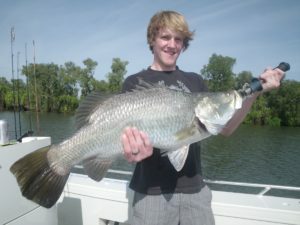 We aim to make you fishing experience and visit to the Nortehrn Territory one that you will talk about for year to come. The “Tick” demonstrates to you that the Northern Territory takes tourism seriously and is committed to continuous improvement in quality and innovation.When booking your next holiday in the Northern Territory, look for the ‘tick’. 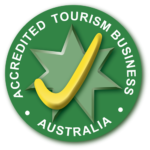 This distinctive ‘tick’ logo displayed by accredited tourism businesses provides you with an assurance that the tourism business has a proven commitment to the highest quality of service. They’ve met specific criteria ensuring they are committed to exceeding your expectations with great customer service and the highest standards of business practice. Accreditation will benefit you by providing you with a recognisable symbol of quality, allowing you to make better informed choices when selecting tourism products and services. Accreditation will give you comfort that your expectations of the tourism experience will be met and that you will receive value for money.